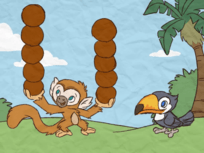 Students will be able to illustrate the operation of subtraction with answers of 10 or less. Tell the students that today they will continue learning how to subtract. Remind them that SubtractMeans to take away, and the number that is left is called the Difference. 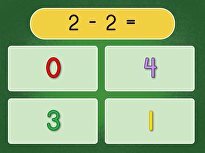 Show the subtraction flashcards to the students. Read the subtraction problems together. For example, 7 - 3. Point out to the students that the second number tells how much to take away from the first number. Count out and place 7 cubes where all students can see them. Ask the students how many cubes there are and how many to take away. Remove three cubes. Ask the students how many cubes remain. Repeat the problem and answer for the students, pointing out that there are 4 remaining cubes. Choose another subtraction card and continue in the same manner as the previous problem. Give each pair 10 cubes and 2 subtraction flashcards. Instruct them to select one card and read the subtraction problem they see. Have them count out the number of cubes that represents the first number. Tell the students to find the number that is being taken away, and remove that number of cubes. Ask them to tell each other how many they have left. Tell them to read the subtraction problem on their flashcards with the answer. 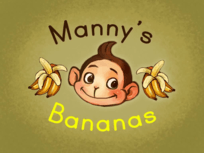 Direct your students to continue in the same manner with the other subtraction flashcard. Give each student a paper plate and cup filled with 10 miniature marshmallows. Pass out four flashcards to each pair. Ask your students to choose one flashcard and read it to their partners. Instruct the other partner to count out the number of marshmallows they will need to depict the number that represents how many there are in all. Have your students take away the second number and identify the answer to the subtraction problem. Direct your students to complete the rest of the problems on their own. Enrichment:Give students index cards to write down each subtraction problem. Then, have them flip the cards over and write a fact family. For example, have them write 7 - 3 = 4On the front and then 7 - 4 = 3On the back. Support:Give students subtraction flashcards with the answers on the back so that they can check their answers. Give the students the Let's practise Subtraction worksheet. Collect and check the answers. Remind the students of the steps they used when subtracting the cubes and marshmallows. 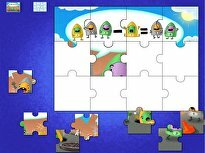 Your first grader will need to use basic subtraction facts to analyze this puzzle. Try these simple subtraction problems to help introduce your kindergartener to basic maths concepts! Download this year 2 maths worksheet to help your child develop fluency in basic subtraction facts. 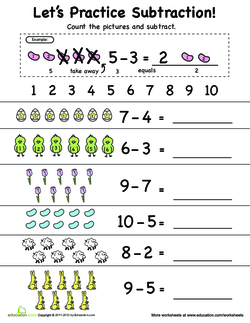 Build basic maths skills with this practise sheet, full of simple subtraction equations for your child to practise and start memorizing. 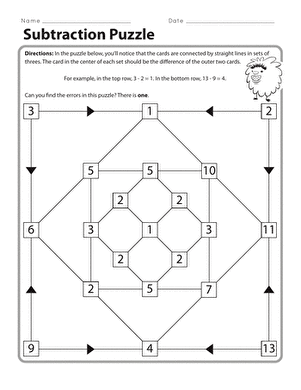 Introduce your child to basic subtraction with this year 2 maths worksheet. He'll solve single-digit problems, then rewrite his answers as tally marks. Little love-bugs can have a blast solving these Valentine's Day subtraction problems! Build basic maths skills with this practise sheet. 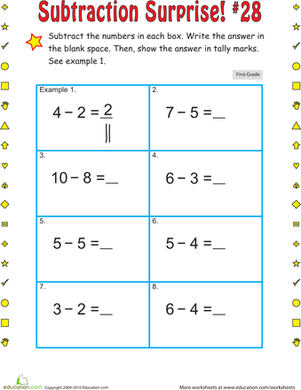 This year 2 maths worksheet will help your child learn basic subtraction. 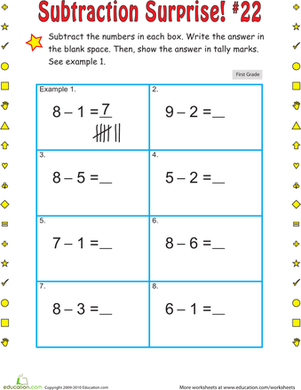 Kids practise subtracting within 20 with this watermelon subtraction worksheet. Subtraction stars, take a swing at maths practise with baseball subtraction! 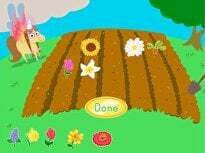 Your child will get to solve some simple subtraction problems.